Amazon Affiliate Program is the greatest way to make money online. Amazon is one of the biggest marketplaces in the world. So many affiliate marketers and bloggers are using Amazon to make some online income. People also selling their products on Amazon and make money easily. 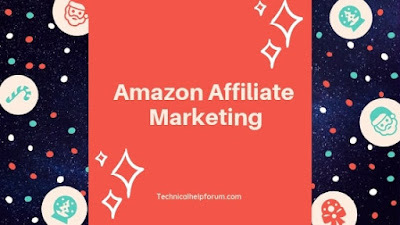 An Amazon associates program allows you to earn up to 12% of commission on purchases made using an Amazon affiliate link on your blog or website. How to signup the Amazon affiliate program? To become a part of the Amazon affiliate program you have to register with Amazon associates. Registration is an easy process hardly take 10 minutes to complete. Depending on your location you can register for an affiliate program. If your target audience is from India you have to sign up for Amazon India program. Read: Step by Step process to sign up the Amazon Associates Program. How to monetize on the Amazon affiliate program? After registration with amazon associates, your next step is to get links, banners for your site. Insert these links and banners on your website pages and posts. Depending on your website category or niche, you can select a different type of product links. It’s easy to monetize if you have a website or blog. If you don’t have a website you can quickly make one WordPress Website at an affordable cost. Bluehost has only $3.95/month for hosting and you will get a free domain. Want to Know How to Make a Website? An easy step by step guide to making a website just under 30 minutes. You can also promote these affiliate links to your facebook pages and make sales. The best method is to have a website and promote products. Amazon is offering an Affiliate commission of up to 12% in India and other countries. However, this differs from product categories. you can earn a minimum of 4% to a maximum of 12% of the product prize. Choose your category of niche and promote your affiliate products. Share your website links to social media and get traffic to your website. So that you can easily earn money from Amazon Affiliate Program. I hope this blog post is useful for you to start getting an online income soon. If You've any Question or suggestion, feel free to ask in Comment section.we'll reply to you as soon as possible.